London-based gallery Timothy Taylor has inaugurated its first space in New York with an exhibition dedicated to the late Mexican architect Luis Barragán. "Architecture of Color: The Legacy of Luis Barragán" explores Barragán’s architectural practice, his spiritual path, and his unique use of color. Curated by Oscar Humphries, the exhibition includes works by Mexico-based artists with whom Barragán had close ties, including Mathias Goeritz, Chucho Reyes and Eduardo Terrazas, as well as works by twentieth-century masters such as Josef Albers, Carl Andre, Dan Flavin, and Agnes Martin. 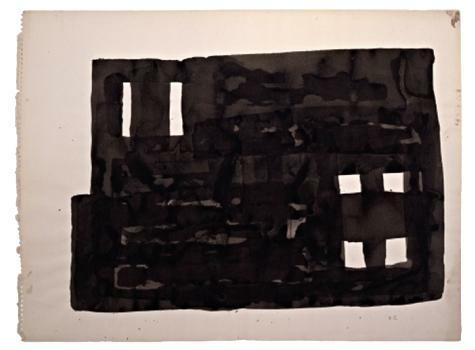 Included in the exhibition is Truitt’s Ink Drawing ’59.